The 8th Clean Energy Ministerial in China saw the Asian launch of the G20 Energy Efficiency Investment Toolkit to a packed audience of policy-makers, cleantech entrepreneurs, investors and financiers. The Clean Energy Ministerials are senior-level meetings dedicated to accelerating the global clean energy transition. 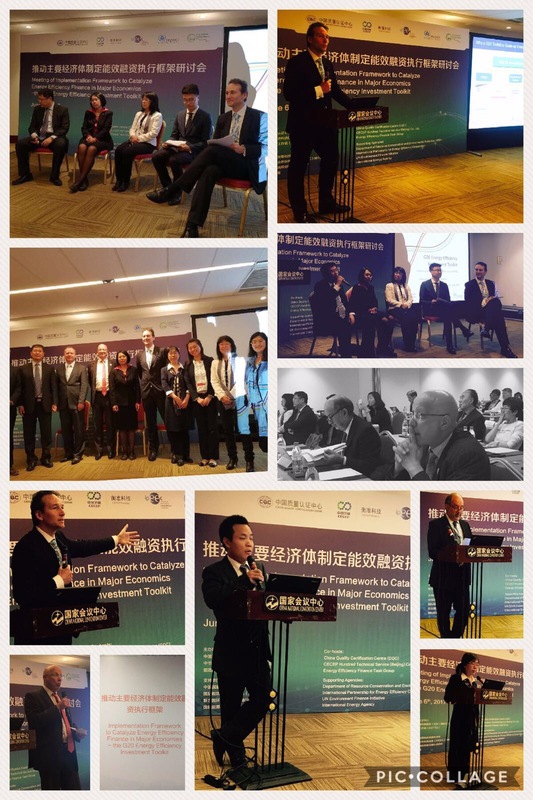 The Asian launch was was organised by the G20 Energy Efficiency Finance Task Group (EEFTG) jointly with the National Development and Reform Commission of China (NDRC), China Quality Certification Center (CQC), and China Energy Conservation and Environmental Protection Group (CECEP) Consulting. Chen Yaqin, Head of Enviromental Finance Department at the Industrial Bank of China, stressed the importance of challening more capital into sustainable development and underlined the key role of energy efficiency for an “alternative route towards prosperity” that showcases what “emerging economies could do to decouple economic growth and energy consumption”. The Toolkit provides a “global view of innovation in energy efficiency financial instruments, which will direct more capital into the environmental protection industry”, added An Guojun, Deputy Secretary General, Green Finance Committee of the China Society of Finance & Banking and Vice Chairman, China Social Investment Forum. The important role of the G20 in exchanging best practices was emphasized by Huo Zhong He, General Manager of CECEP Consulting, who said that the Toolkit “provides valuable information for strengthening international cooperation and drawing on successful experience of energy efficiency financing”. This was also underlined by Priscilla Lu, Managing Director Sustainable Investments, Alternatives at Deutsche Asset Management, who praised the Toolkit as an “excellent framework for consensus building amongst the banking and development institutions on best practices, policies and implementation procedures”. The Asian launch of the Toolkit follows the G20 launch at the G20 Energy Efficiency Forum in Hamburg and the North American launch at EE Global in Washington DC. Read the G20 Energy Efficiency Investment Toolkit here. Read the press release here (English). Read the press release here (Chinese).